NEW PRICE $248, 000 Fabulous property in Augusta ready for occupancy. 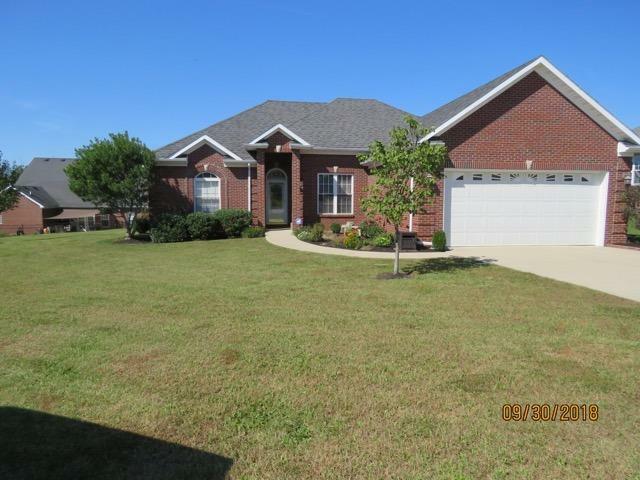 This home is a spacious 3 bedroom, 2 bath with an open great room, dining room. Gas log fireplace in the great room. The kitchen is beautifully decorated with Barber Custom Cabinetry, tile back splash, island with granite top and breakfast nook. Just off the kitchen, the Sunroom is an area that can be a den or an office with tile floors and windows bringing in lot of light. The spacious master bath has tile flooring and oversized vanity, whirlpool, and tile shower. The Augusta Neighborhood is conveniently located close to I-64, US 127 and East West Connector for an easy commute. Lot Dimensions: 13, 849 sq. ft.
Miscellaneous: Foyer, Master Bdrm 1st Flr.,Bedroom 1st Floor, Great Room, Bonus Room, Separate Utility Rm.